You do have to do a little bit of work to get it. It’s Friday, so that means you can get a free order of crispy French fries from McDonald’s (as long as you have the app) as long as you spend $1. But nothing costs $1 on the menu anymore, right? Nope! 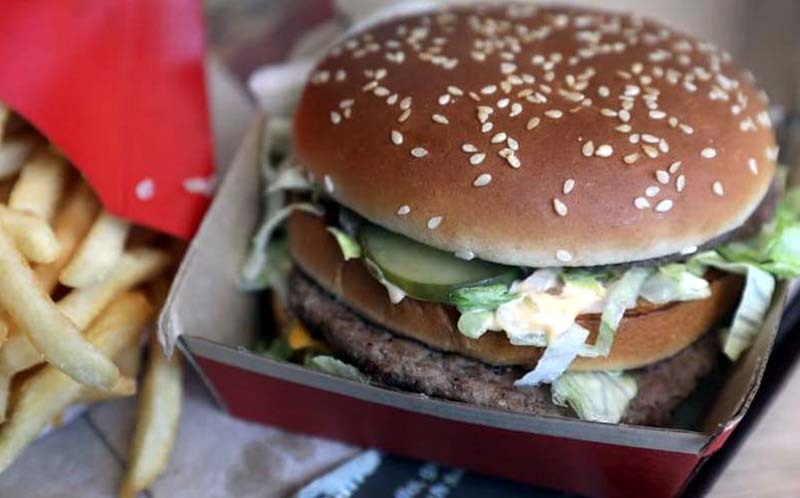 You can get a McDonald’s Big Mac — or another one of their famous sandwiches — for only $1. And not just on Fridays. 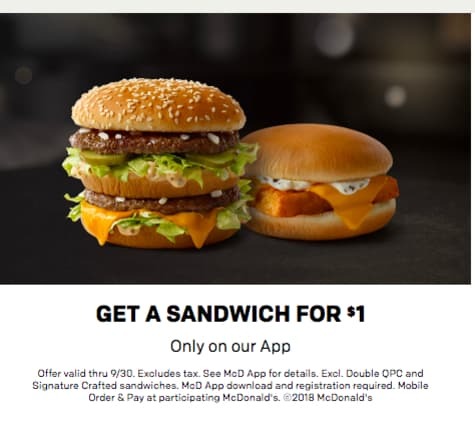 You can get a McDonald’s Big Mac for only $1 once a day, so basically your lunch for the next two months is set — and will only cost you one greenback. [post_ads]What if you don’t like the McDonald’s Big Mac? That special sauce isn’t on the list of everyone’s favorite foods — we get it. Luckily, you don’t have to plug your nose and order one just to get in on the $1 deal. From the looks of it, you can get any McDonald’s sandwich for $1 once a day. That include the McDonald’s Quarter Pounder With Cheese, the McDonald’s Filet-O-Fish and the McDonald’s McChicken. The official terms and conditions does say you can't get a McDonald's Double Quarter Pounder With Cheese or their signature handcrafted sandwiches for $1, but the rest of the menu is up for grabs. Like the free McDonald’s French Fries deal, you have to download the official McDonald’s app to get in on the $1 special. It’s not difficult: Just download the app on your iPhone or Android device, sign up for an account and show the barcode to the cashier when you order. If free fries and $1 McDonald’s sandwiches wasn’t enough, there are a ton more deals on the McDonald’s app — and you can even vote for the next day’s special when you sign on each day. The McDonald’s Deals tend to change every day, too. 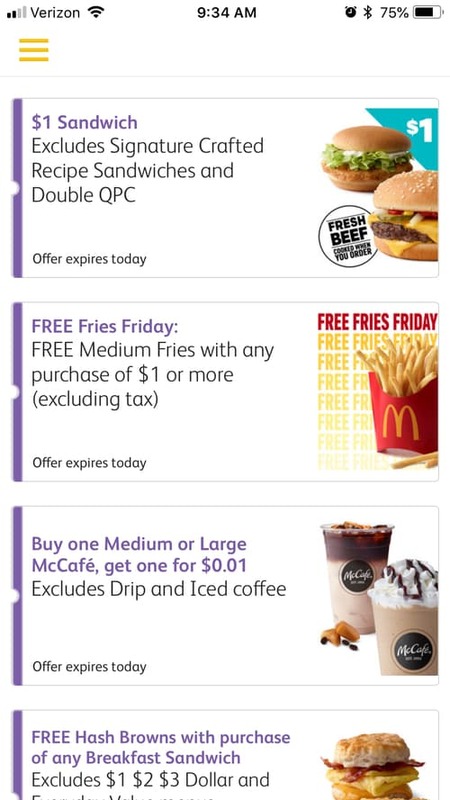 One day you could get a free Medium McCafe drink with any $1 purchase, while the next you could have a deal for a free fountain drink or a $1 McDonald’s breakfast sandwich. Your best bet is to check out the deals every day when you’re redeeming your $1 McDonald’s Big Mac deal. You never know what’ll be there (and we’re hoping for a couple of salad deals thrown in there, too — gotta get those veggies in! ).